Turkey should consider a range of issues over which it has little leverage when formulating foreign policy writes Marc Pierini, visiting scholar at think-tank Carnegie Europe. Turkey is currently confronted by a number of pressing foreign policy concerns. Among them are the stalled European Union accession process, legal troubles in the United States stemming from the involvement of a state-run Turkish bank in violating sanctions against Iran, and the possibility of direct clashes with U.S. forces in Syria. 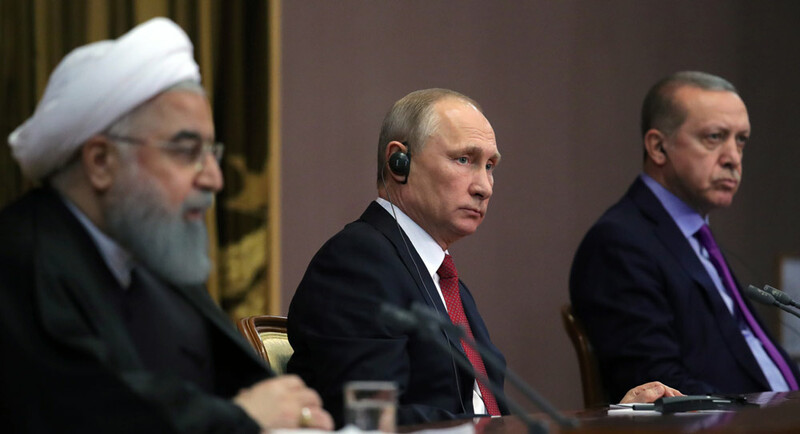 The stakes in Syria are particularly high, revolving around a two key issues; a power struggle between the United States and Russia in the Middle East, and potential for war between Iran and Israel. By rescuing the Syrian President Bashar Assad’s government, Russia changed a balance of power in the Middle East that had remained essentially stable since the end of World War Two. Meanwhile, the Astana Peace Process, a diplomatic joint diplomatic initiative supported by Russia, Turkey and Iran, allows Moscow to impose its brand of political settlement in Syria, Pierini said. Iran and Hezbollah have, like Russia, established bases and substantially upgraded their arsenals in Syria, thereby threatening Israel’s security. In the face of this growing Russian and Iranian influence, the United States controls about one-third of Syrian territory through a combination of proxy fighters and special forces. Turkey has contributed to the geopolitical reshuffle by participating in the Astana Peace Process, by sending money to Iran in contravention of sanctions and militarily, by objecting to the presence of U.S. troops in Syria. The course that Turkish leaders choose to follow in the Syrian war will have long-term consequences for their country and for the world.